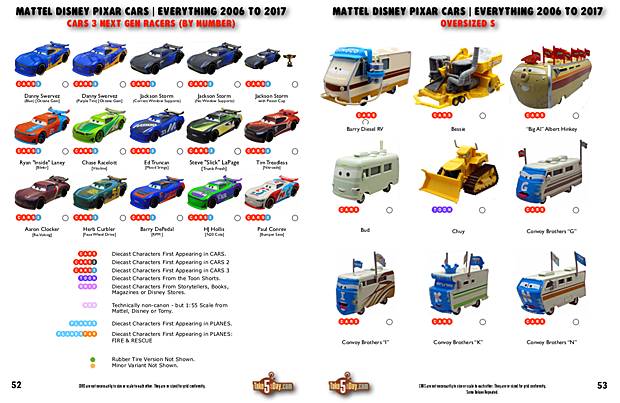 Take Five a Day » Blog Archive » Mattel Disney Pixar CARS: TakeFive Complete Open Checklist 2006-2017 – BY THEME with PLANES! 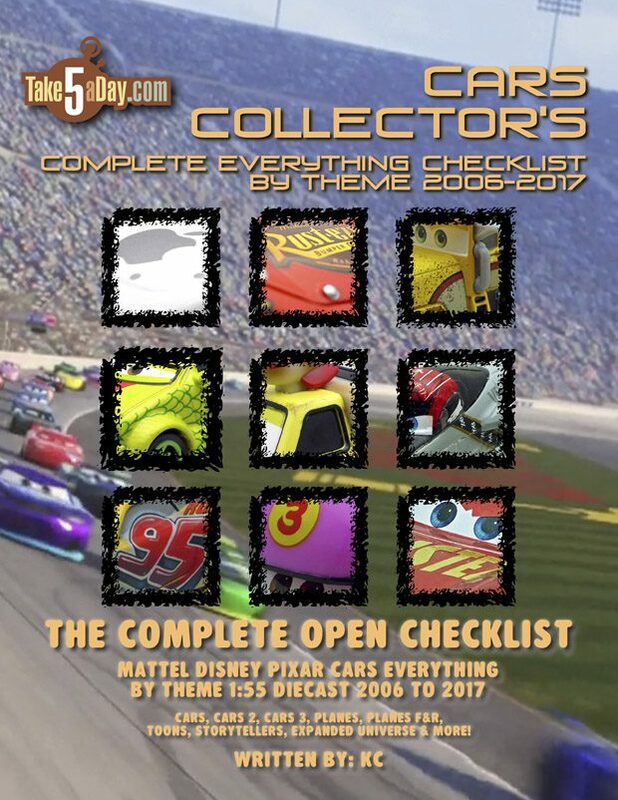 Mattel Disney Pixar CARS: TakeFive Complete Open Checklist 2006-2017 – BY THEME with PLANES! 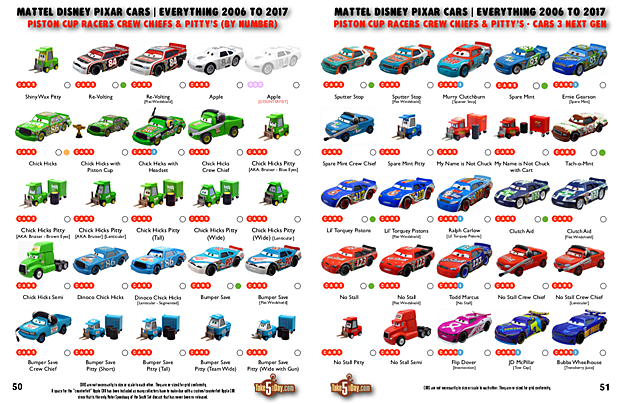 Our Mattel Disney Pixar CARS: Year by Year Complete Checklist BY THEME 2006-2017 is HERE! 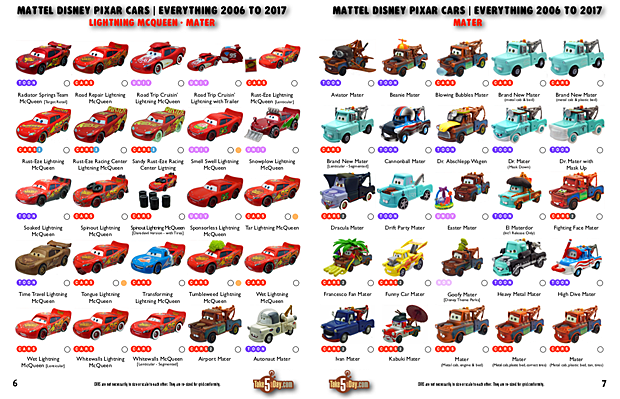 All the LIGHTNING MCQUEEN’s are together, ALL MATER’s … Piston Cup racers by their number from CARS 1 to CARS 3 … AND PLANES since it finally made sense to list all planes together, all helo’s … all jets … it’s ALL HERE. And the count? 1,610 through 2017. Available in two places, MagCloud & Amazon. The COVERS look different but the content s exactly the same – for those who prefer the same look from the Yearbooks, that’s why there is a MagCloud version – if you prefer a DIGITAL version, only MagCloud offers a digital option. There is also an Amazon published version. MagCloud version. Click through for a preview. Your purchase supports TakeFiveADay, thanks! You can read all about our magazines on our STORE PAGE. 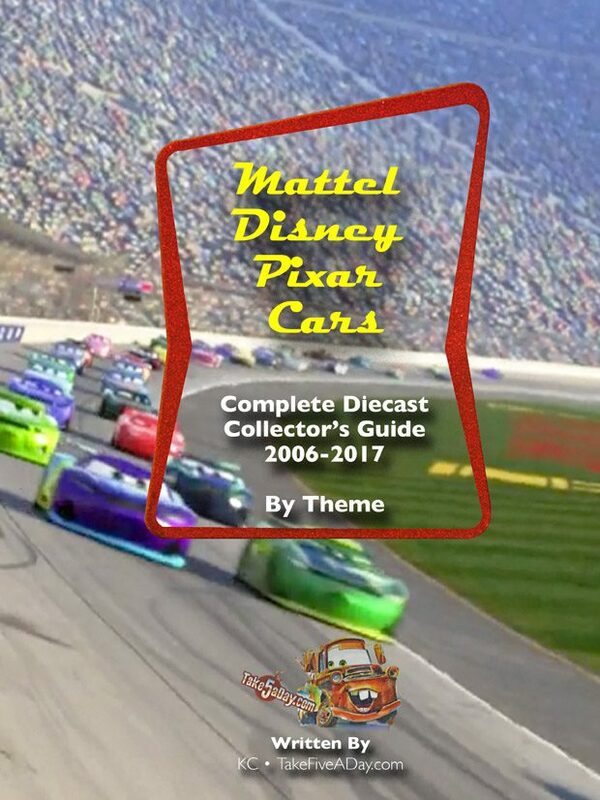 Hey Met, just wondering if this book includes any 2018 releases at all? 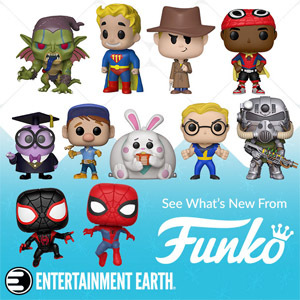 I noticed this was posted in October 2018, so I thought I would ask. (MET: No, it takes a while to make sure all the year’s releases are out since it’s not a calendar year thing – it goes through the CARS year 2017).